A RainSoft drinking water filter system is a savvy purchase for homeowners in New Castle, Delaware, and beyond who truly care about the quality of water their families consume. While the U.S. Environmental Protection Agency (EPA) sets stringent guidelines regarding permissible contaminant levels in public water supplies, substances that can affect the taste, odor, and appearance of drinking water are often still present. Water that has been filtered through a RainSoft drinking water system is better suited for not only enjoying a refreshing glass of water, but also for preparing foods and beverages. From brewing fresh coffee or tea to rinsing lettuce and vegetables for a salad, you’ll be able to taste the difference. What’s more, a RainSoft professional will plumb this system to your kitchen sink or to your refrigerator, so you won’t be inconvenienced by a clunky filter taking up space on your counter. 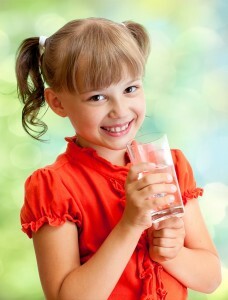 If you’d like to supply your family with healthier, more refreshing drinking water, trust RainSoft. We’ve provided dependable home water solutions to families like yours since 1953. Contact your authorized RainSoft dealer in New Castle, DE, today to learn more information. Our drinking water filter system products, along with our whole house water treatment solutions, are assembled in the USA and Tested and Certified by the Water Quality Association and NSF International.